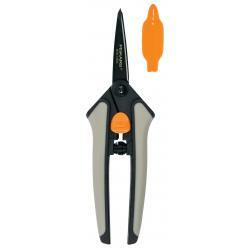 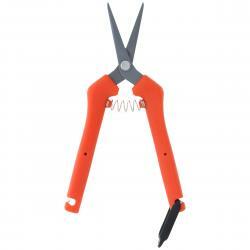 The most comfortable spring-loaded gardening scissors on the market! 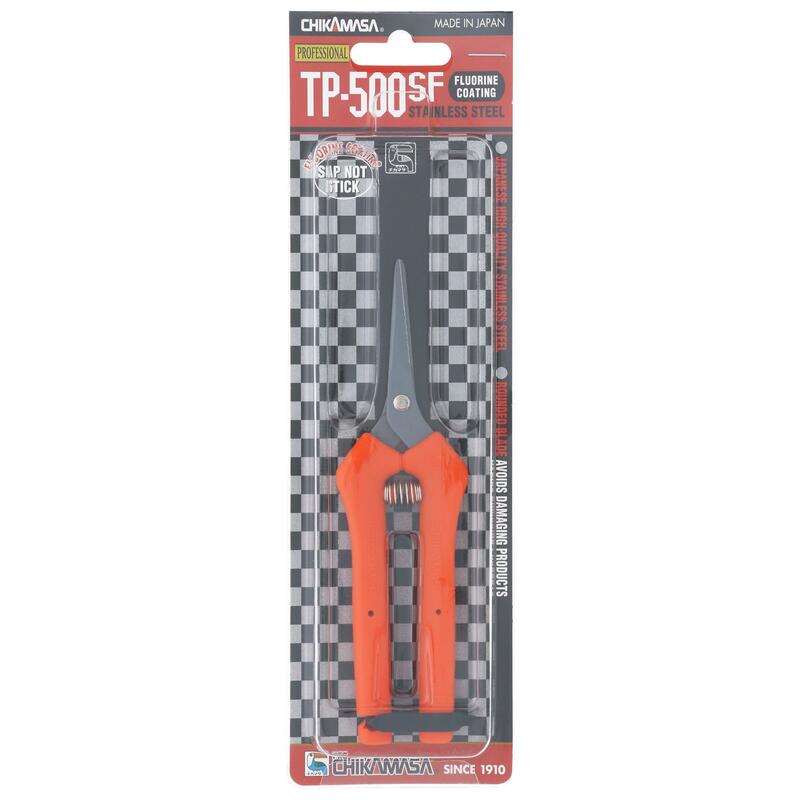 Chikamasa TP-500SF have straight, stainless steel blades with a fluorine coating and torsion spring. Fluorine makes the blades on the Chikamasa TP-500SF sap resistant. 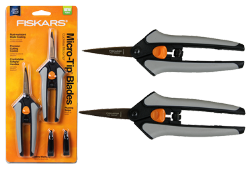 These pruners feature flexible stainless steel springs and ergonomic handles that are designed to minimize hand stress for trimmers using spring-loaded scissors for extended periods of time. 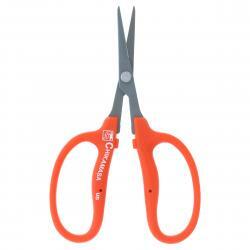 Each pair of Chikamasa TP-500SF scissors are hand finished for a high-quality, razor-sharp blade every time.